Whether you're training, relaxing or just being cool, these stylish sweat shorts are a great way to show your support for Max Verstappen. 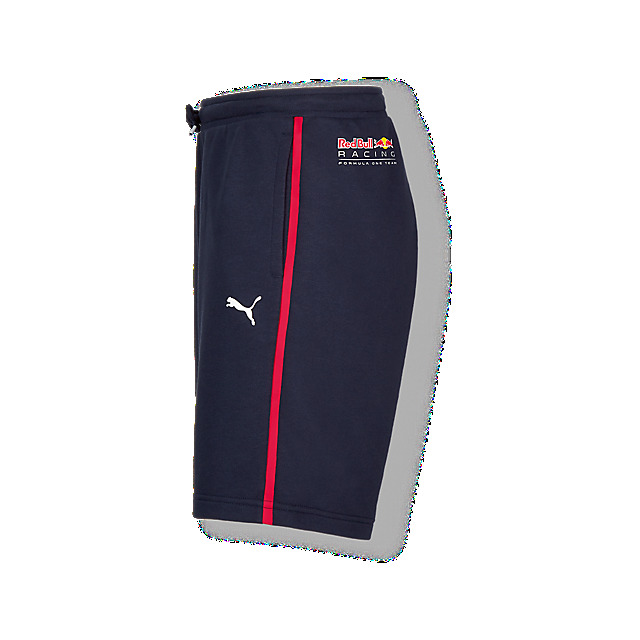 Created in smart navy with contrast stripes in red, they include Max's logo and the PUMA logo on the front, together with the Red Bull Racing logo on the back. An adjustable waist with drawcords ensures a comfortable fit, while pockets will keep your hands toasty on colder days.